Within a couple of hours of downing tools at the office, you can be relaxing in your own private outdoor space on Minffordd Holiday Park. We offer a quiet peaceful garden site, with roomy, beautifully landscaped plots. We offer holiday homes with all the latest of modern luxuries and we currently have several pitches for sale. Ask us for more details. 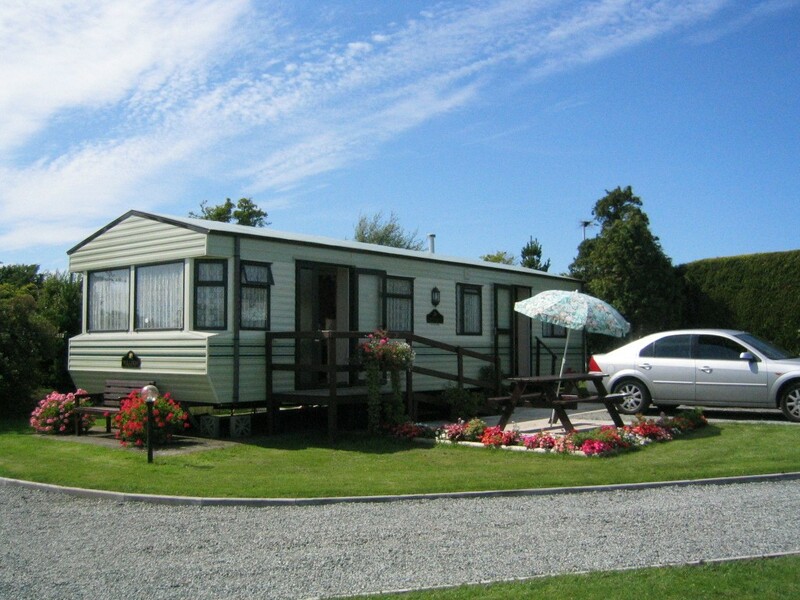 Minffordd Holiday Park is in a great position to make the most of both Anglesey and Snowdonia. The east coast of Anglesey offers some of the best sandy beaches on the island. Our site is a short walk across fields, or two minutes drive from the beautiful sandy beach at Lligwy. Anglesey is the perfect holiday home destination for anyone living in the North West of England with it taking only a couple of hours to get here. Moelfre has a village shop, cafe, restaurant. The village of Benllech is just 10 minutes drive away and boasts an independent butcher, fishmonger, as well as three supermarkets, post office, doctor, chemist and petrol station. Benllech has a stunning golden sandy beach. If you are keen on launching a boat or jetski, Traeth Bychan has a slipway and a sailing school along with kayak and sup hire. The Anglesey coastal path joins all the beaches from Red Wharf to Lligwy and beyond so you’ll not be short of wonderful scenic walks. Snowdonia with its glorious mountain ranges and adrenalin activities at Zip World, is only 45 minutes away. Please do talk to us about your interests and hobbies and we’ll be only too happy to help you find places you will enjoy. Our site is open from mid-March to the last Sunday in October. We aim to make the process of being an owner of a holiday home as smooth as possible and can advise you on size and style of holiday home. Our small peaceful site at Minffordd Holiday Park gives you a large landscaped pitch with plenty of outdoor space. And our green fingers have been recognised with Gold David Bellamy awards for eight years running. We offer a competitively priced flexible buying service with Willerby being our preferred caravan supplier. Recent innovations mean that static caravans now come fitted with central heating and double glazing, en-suite bathrooms and walk in wardrobes. As a result, you can enjoy your creature comforts and make the most of your holiday home whatever the weather and temperature. Annual site fees include maintenance of the grounds, first year gas safety checks. Contracts are renewed annually. We also offer maintenance, set up and close down services for a small fee. Please don’t hesitate to ring to us to talk any options through or arrange a no-obligation tour of the park.